The news comes during the Alzheimer’s Society’s national dementia action week, which is raising awareness of the disease. 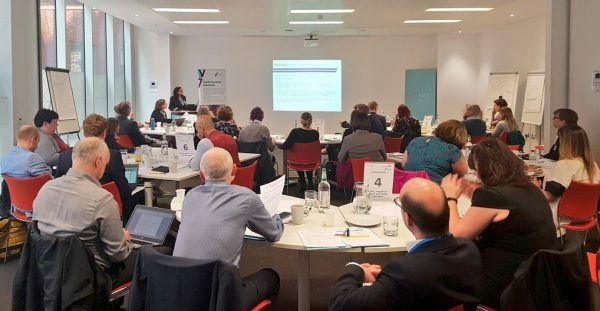 Leaders from Health Innovation Manchester and Greater Manchester Health and Social Care Partnership have signed a partnership agreement with the Dementia Industry Group, which is made up of representatives from the UK’s pharma industry and Alzheimer’s Research UK. It is thought to be the first partnership of its kind in the UK. It is estimated that there are currently more than 30,000 people living with dementia in Greater Manchester and the city region spends £270 million a year treating and caring for people with the disease. People with dementia suffer with continued decline in how the brain functions and are likely to experience a range of symptoms including memory loss, difficulty carrying out daily tasks, changeable moods and unpredictable behaviour. Greater Manchester has pledged to become the best place to live with dementia in the world as part of its Dementia United strategy. This new partnership with industry will focus on finding the best care and treatment options for people with dementia, as well as identifying people who are at risk of developing the disease. It will involve looking at developing new medications and ensuring medication is prescribed correctly, as well as exploring how new technologies and digital innovations can improve people’s quality of life. The Dementia Industry Group will focus on areas such as involving people with dementia in studies, using scientific approaches to identify people who might develop dementia and using IT systems to help detect and treat the disease. To find out more about the signs and symptoms of dementia visit www.nhs.uk or speak to your GP.